I said those words which appeared in an wide-ranging article on TODAY weeks ago. 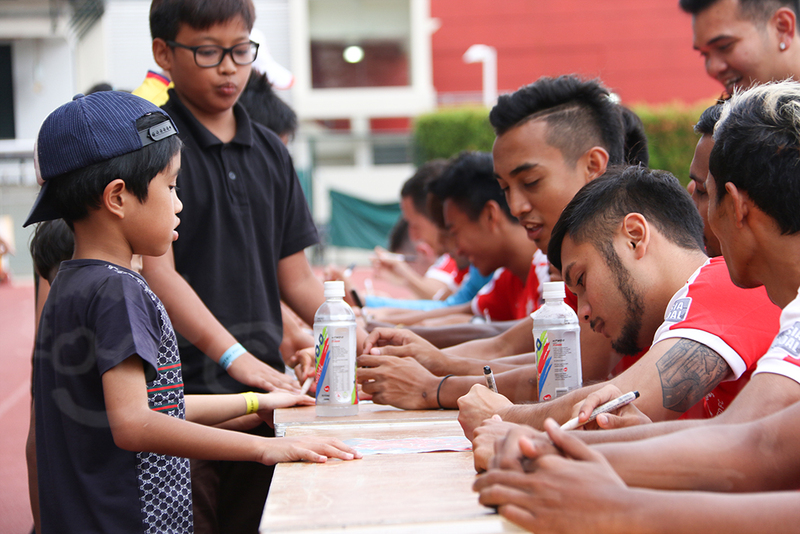 Due credit to those who tried like how Home United did theirs last and this year, Hougang United kept everyone in the loop during the pre-season with some eye-catching updates on their Facebook "Page" and other social media platforms. While these updates online can be easily accessible on mobile gadgets during our daily routines, let's not rule out some information could be outdated to certain end users unless they stick to their devices faithfully on 24/7 basis in order not to be left out. Furthermore, one of the challenges facing most administrators using Facebook "Page", which is one of the main outreach tools by most clubs, is the constant tweaking of the secretive algorithms gradually resulted lesser engagement with those who "liked" the page. It can be frustrating after glancing through the statistics to see how many actually are able to receive new postings from those domains. It is fair to say traditional forms of marketing is still pivotal in reaching out to a wider group of people, through the means of advertising on traditional medium such as newspapers (I had a colleague who told me he was expecting some details on S.League stuff on the papers), television or anything visible within the sight like bus interchanges or train stations. 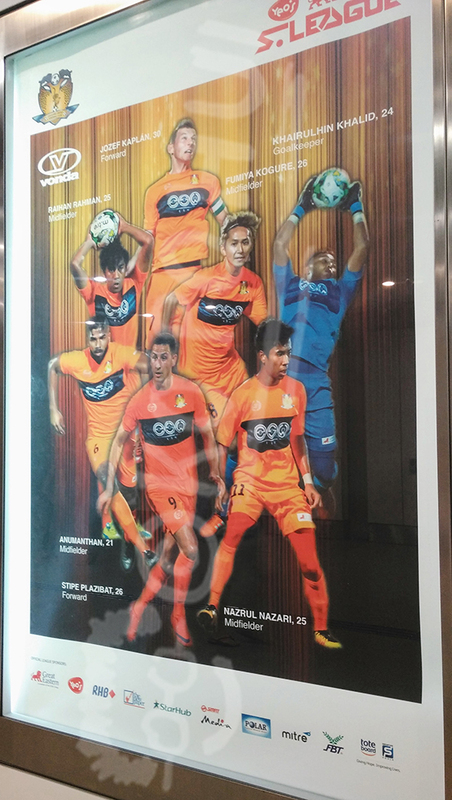 Last season, the S.League entered a three-year partnership agreement with SMRT Commercial which pushed the league's marketing into new frontiers by having posters of clubs, players placed at strategic located stations together with highlights from selected games being flashed on video screens within the stations premises. Although this wasn't the first collaboration between the public transport operator and the league, it was the first time, however, having promotional fixtures for the S.League, clubs, etc. inside places like train stations. Nonetheless, some of these posters were not placed in prominent spots that many communters might not even notice them at all. Therefore, these promotional fixtures did not maximize their potential to the fullest, given the mentioned "constraints" unlike some train stations in Japan. "One of the first things I saw when alighted from the train was 'Jubilo-kun' - the mascot of Jubilo Iwata (a J-League club in J1 division)," recalled a friend on his recent trip to Iwata in southwestern Japan. 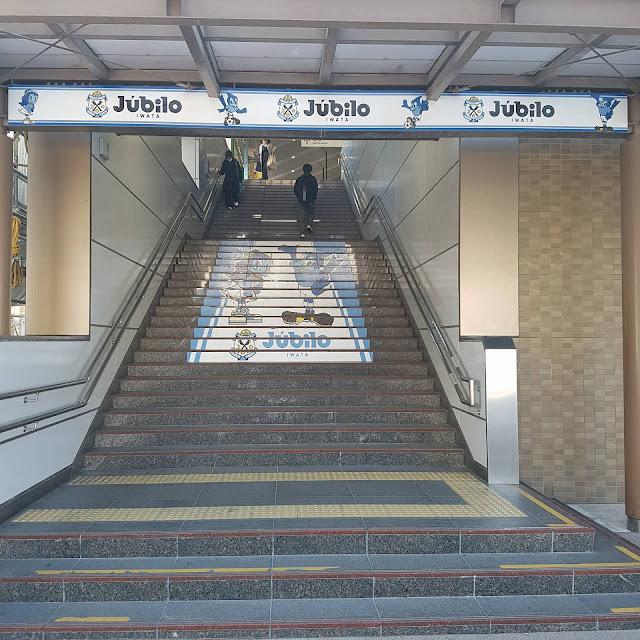 "Before reaching Iwata, I also noticed the presence of Shimizu (S-Pulse) at Shizuoka station that tells us how J-League clubs are reaching out in their based vicinity using resources like train stations where attention-grabbing posters, signages are common sights. "One unique feature I realized is Japanese's (marketing) methods are more club oriented, unlike those 'collective efforts' I felt at our (SMRT) train stations." he added. The "collective efforts" he highlighted is a lack of distinctive touch to set each club and the league's identities apart from one and other. 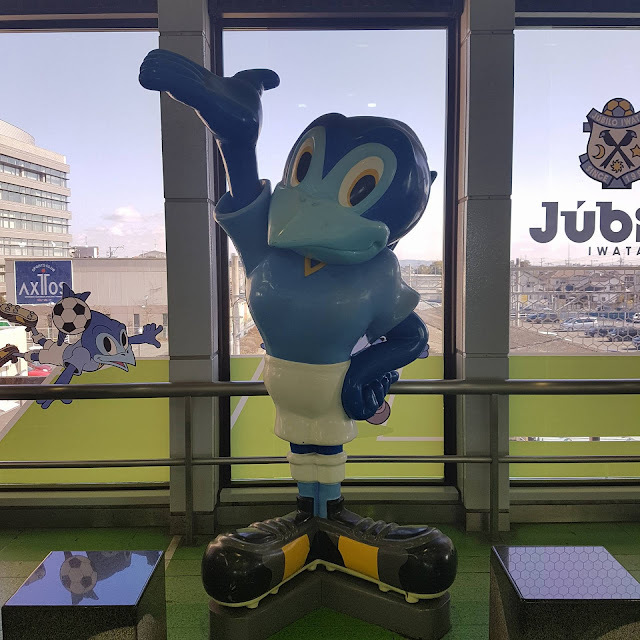 Beside what he saw at Iwata train station, This acquaintance also revealed some of the Jubilo Iwata related fixtures that caught his eyes - car decals affixed on taxi windows, vending machines with club colours during his visit. Could Singapore emulate the savvy way of marketing shown by the J-League clubs, in SMRT train stations in the second year of the partnership? In respond to that query via e-mail, an Football Association of Singapore (FAS) spokesperson replied:"There are guidelines on advertisements at the stations, but we will certainly explore more options with them in this new season." Nevertheless, at the end of the day, we do hope there will be changes made to add a bit more vibrancy and savviness in reaching out to the largely untapped market using more creativity to lure their attention.